True conversion occurs as you continue to act upon the doctrines you know are true and keep the commandments, day after day, month after month. Brothers and sisters, what a humbling experience it is to stand at this pulpit where so many of the heroes of my life have stood. I would like to share with you some of the feelings of my heart and direct them especially to the youth. One of the great heroes from the Old Testament was the prophet-warrior Joshua. He extended this invitation to the children of Israel, whom he led: “Choose you this day whom ye will serve; … but as for me and my house, we will serve the Lord.”1 Joshua’s declaration demonstrates true conversion to the gospel. For Joshua and all of us, conversion to gospel principles comes through righteously living the principles of the gospel and being true to our covenants with the Lord. I would like to share a conversion story from my family history about another of my heroes. Her name is Agnes Hoggan, and she and her husband joined the Church in Scotland in 1861. Suffering great persecution in their homeland, they immigrated to America with their children. Several years later, Agnes became a widow with eight children to support and worked hard to keep them fed and clothed. Her 12-year-old daughter, Isabelle, was lucky enough to find employment as a servant to a wealthy, non-LDS family. Isabelle lived in their large home and helped look after their younger children. In exchange for her services, a small wage was paid each week to her mother. Isabelle was soon accepted as a member of the family and began to enjoy many of the same privileges, such as taking dance lessons, wearing beautiful clothing, and attending the theater. This arrangement continued for four years, until the family for whom Isabelle worked was transferred to another state. They had grown so fond of Isabelle that they approached her mother, Agnes, and asked for permission to legally adopt her. They promised they would provide her with a good education, see that she married well, and make her an heir to their estate with their own children. They would also continue to make payments to Agnes. This struggling widow and mother had a hard decision to make, but she did not hesitate for a moment. 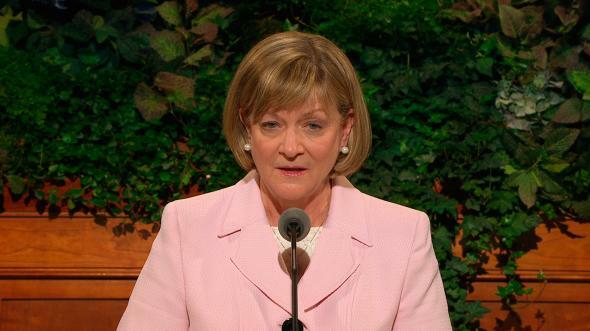 Listen to the words of her granddaughter, written many years later: “If her love had not compelled [her] to say no, she had an even better reason—she had come all the way from Scotland and had gone through tribulations and trials for the Gospel, and she did not intend, if humanly possible, to let a child of hers lose what she had come so far to gain.”2 The wealthy family used every possible argument, and Isabelle herself cried and begged to be allowed to go, but Agnes remained firm. As you can imagine, 16-year-old Isabelle felt as if her life was ruined. Isabelle Hoggan is my great-grandmother, and I am most grateful for the testimony and conviction that burned so brightly in her mother’s heart, which did not allow her to trade her daughter’s membership in the Church for worldly promises. Today, hundreds of her descendants who enjoy the blessings of membership in the Church are the beneficiaries of Agnes’s deep-seated faith and conversion to the gospel. Young friends, we live in perilous times, and the decisions which you are called upon to make on a daily, or even hourly, basis have eternal consequences. The decisions you make in your daily life will determine what happens to you later. 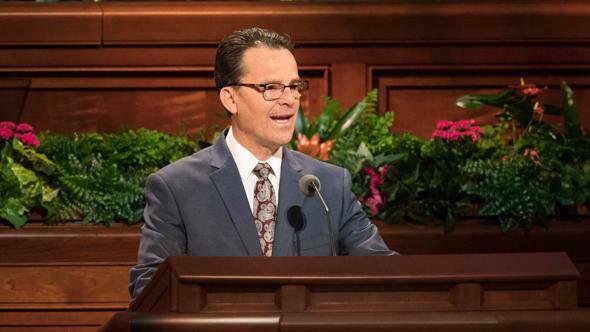 If you do not yet have a firmly rooted testimony and conviction that The Church of Jesus Christ of Latter-day Saints is the kingdom of God on the earth, now is the time to do what it takes to gain that conviction. To delay making the effort required to earn that kind of conviction can be dangerous to your soul. True conversion is more than merely having a knowledge of gospel principles and implies even more than just having a testimony of those principles. It is possible to have a testimony of the gospel without living it. Being truly converted means we are acting upon what we believe and allowing it to create “a mighty change in us, or in our hearts.”3 In the booklet True to the Faith, we learn that “conversion is a process, not an event. You become converted as a result of … righteous efforts to follow the Savior.”4 It takes time, effort, and work. My great-great-grandmother had a strong conviction that the gospel was more important for her children than all that the world had to offer in the way of wealth and comfort because she had sacrificed, endured, and lived the gospel. Her conversion came through living the principles of the gospel and sacrificing for them. We have to go through that same process if we want to gain that same kind of commitment. The Savior taught, “If any man will do his will, he shall know of the doctrine, whether it be of God, or whether I speak of myself.”5 Sometimes we try to do it backward. For example, we may take this approach: I will be happy to live the law of tithing, but first I need to know that it’s true. Maybe we even pray to gain a testimony of the law of tithing and hope the Lord will bless us with that testimony before we have ever filled out a tithing slip. It just doesn’t work that way. The Lord expects us to exercise faith. We have to consistently pay a full and honest tithe in order to gain a testimony of tithing. This same pattern applies to all the principles of the gospel, whether it is the law of chastity, the principle of modesty, the Word of Wisdom, or the law of the fast. I would like to share an example of how living a principle helps us become converted to that principle. I was a young woman in the ’60s and the only LDS girl in my high school. It was a revolutionary period characterized by the rejection of traditional morals, drug use, and an “anything goes” mentality. Many of my peers were good people but found it easy to get caught up in the excitement of this new morality, which actually was just the old immorality. My parents and teachers at church had impressed upon me the value of treating my body with respect, keeping a clear mind, and most of all, learning to trust in the Lord’s commandments. I made the decision to avoid situations where I knew alcohol would be present and to stay clear of tobacco and drugs. It often meant I was not included at parties, and I rarely dated. Drug use was becoming more and more common among young people, and the dangers were not as well known as they are today. Many of my peers later suffered permanent damage from mind-altering drugs or got caught up in serious addictions. 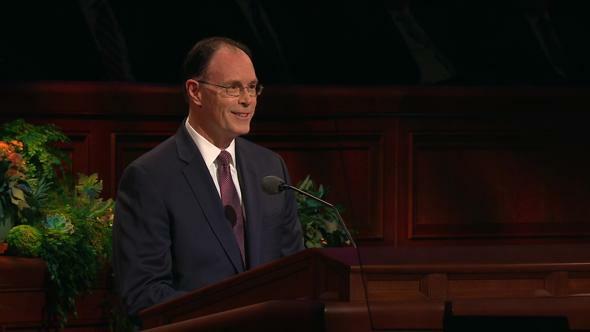 I was grateful to have been taught to live the Word of Wisdom in my home, and I gained a deep testimony of that principle of the gospel as I exercised faith and lived it. The good feeling that came to me from living a true gospel principle was the Spirit of the Holy Ghost confirming that the principle was true. That is when true conversion begins to take place. The prophet Moroni, in the Book of Mormon, taught, “I would show unto the world that faith is things which are hoped for and not seen; wherefore, dispute not because ye see not, for ye receive no witness until after the trial of your faith.”6 In our world where instant gratification is the expectation, we are often guilty of expecting the reward without having to work for it. I believe Moroni is telling us that we must do the work first and exercise faith by living the gospel, and then we will receive the witness that it is true. True conversion occurs as you continue to act upon the doctrines you know are true and keep the commandments, day after day, month after month. This is a glorious time to be a youth in the Church. You are the first to participate in the youth curriculum Come, Follow Me, which has as one of its main purposes your conversion to the gospel of Jesus Christ. It is well to remember that no matter how inspired your parents and youth leaders may be, “you have [the] primary responsibility for your own conversion. No one can be converted for you, and no one can force you to be converted.”7 Conversion takes place as we are diligent about saying our prayers, studying our scriptures, attending church, and being worthy to participate in temple ordinances. Conversion comes as we act upon the righteous principles we learn in our homes and in the classroom. Conversion comes as we live pure and virtuous lives and enjoy the companionship of the Holy Ghost. Conversion comes as we understand the Atonement of Jesus Christ, acknowledge Him as our Savior and Redeemer, and allow the Atonement to take effect in our lives. Remember Joshua, the prophet-warrior? He was not only converted himself, but he worked tirelessly to the end of his life to bring the children of Israel to God. We read in the Old Testament, “And Israel served the Lord all the days of Joshua.”9 A person who has experienced true conversion draws upon the power of the Atonement and receives salvation for his or her own soul, then reaches out to exert a powerful influence upon all those who know him or her. Living the gospel and standing in holy places is not always easy or comfortable, but I testify that it is worth it! The Lord counseled Emma Smith to “lay aside the things of this world, and seek for the things of a better.”10 I suspect we cannot begin to imagine just how magnificent those “things of a better” world are! 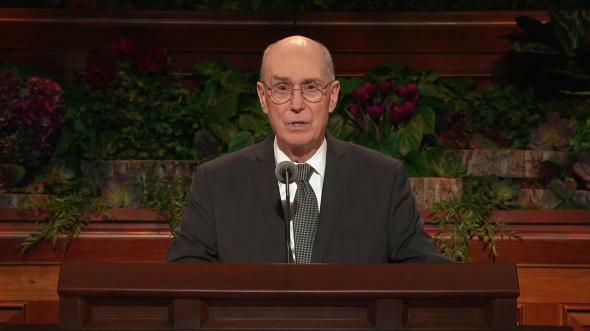 I testify that we have a loving Heavenly Father whose greatest desire is to help and bless us in our efforts to live the gospel and be converted. He has clearly stated that His main focus and work is our “immortality and eternal life.”11 He desires to bring us home to His presence. I testify that as we act upon the doctrines of the gospel and put them into daily practice, we will become converted and will become the means of accomplishing much good in our families and in the world. May we all be blessed in our daily efforts to reach for that goal is my prayer in the name of Jesus Christ, amen. Fuschia Stringham, “Sketch of the Life of Isabelle Hunter Hoggan Stringham” (unpublished personal history, 1934), 4. True to the Faith: A Gospel Reference (2004), 41. True to the Faith, 43.